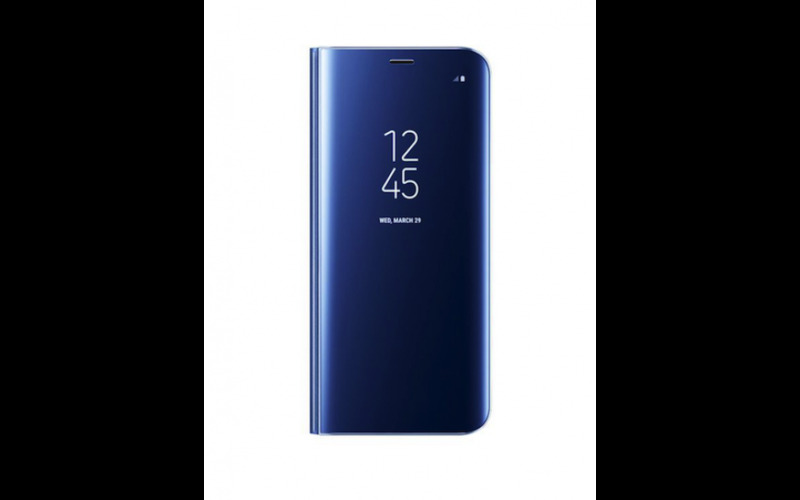 The Samsung Galaxy S8 Clear View Standing Cover is the perfect match to showcase your phone design element by replicate the same contours of your smartphone infinity display without additional bulk. Made of semi-transparent polycarbonate material, it protects the screen completely but at the same time enables you to view important notifications quickly and answering calls without regularly open and close your flip cover. It is the only folding cover that let you view your always on display on the phone. The Clear View case features NFC compatible design that lets you access Samsung Pay or charge your phone using wireless charger minus the hassle of removing your cover. We understand how important it is to constantly able to use the stylus to write and edit note; that's why the cut-out from our Clear View Cover fits the connector. Same goes to the earphone plug and speakers.